Kids on Facebook: Why the social network shouldn’t be allowed to sign up preteens. Why the social network’s plan to sign up preteens is a very bad idea. Are you ready for your second- or third-grader to sign up for Facebook? The company floated that idea this week, telling the Wall Street Journal that it is considering allowing kids under the age of 13 to use the site with parental supervision. This is a trial balloon, floated for the benefit of D.C. regulators and Congress as much as for parents. Facebook made the potential plan sound as benevolent as possible, saying it is testing linking kids’ accounts to their parents’ pages and adding controls that would allow parents to decide whom their kids can friend and what apps they can use. Don’t be reassured. Facebook is interested in kids because it wants to encourage them to share widely, as early in their lives as possible, because that’s good for the company’s market share, now and in the future. The most telling line in the Journal article is this one: “Concerns have been growing over Facebook’s ability to sustain the 88% revenue growth it achieved last year via advertising, especially in the wake of its troubled initial public offering.” This is a company under pressure to increase profits—and one whose record with teenagers doesn’t demonstrate that it’s a good place for younger kids to grow up. Let’s start with cyberbullying: In 2011, Consumer Reports estimated that of the 20 million young people who used Facebook in the previous year, 1 million of them were bullied, harassed, or threatened on the site. A Pew Center survey from the same year found that 15 percent of teens between 12 and 17 said they’d been harassed on a social network site in the last 12 months, and, because “Facebook dominates teen social media usage,” as Pew put it, it’s safe to say that a lot of the harassment happened there. There’s even more cause for concern about younger kids in the Pew numbers: The center found that more than 30 percent of 12-to-13-year-old girls said they saw kids being mostly unkind to each other on social network sites, significantly more than the 20 percent of teens who reported such unkindness overall. The survey followed up with this interesting question: “Have you had a bad experience online that made you nervous about going to school the next day?” More than one in four 12- and 13-year-old girls said yes, a higher rate again than any other group. In other words, young kids, especially girls, are more vulnerable online than older kids are—they are different from teenagers in a way that makes social networking harder for them to navigate. In his book Talking Back to Facebook, James Steyer, who heads the nonprofit Common Sense Media, which reviews movies, games, and other media for parents, makes a related point about how “shallow and unreal” many online relationships are. He also notes that girls can be drawn to comment constantly on each other’s appearances online and points to the body-image pressure that can bring. 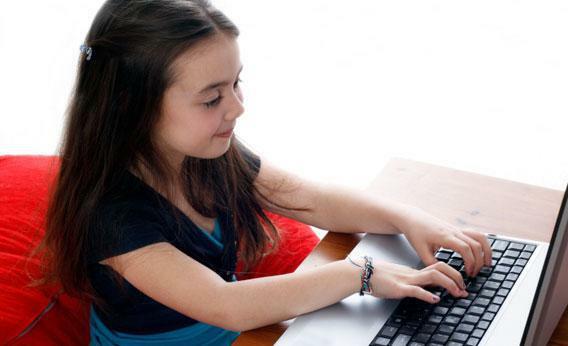 Common Sense has started a petition against Facebook’s plan to sign up kids under 13. What’s the argument Facebook is making for signing up young kids? That it’s a hassle to enforce the existing age restriction. “Recent reports have highlighted just how difficult it is to enforce age restrictions on the Internet, especially when parents want their children to access online content and services,” the company told the Journal. Here’s the background: The Children’s Online Privacy Protection Act, passed by Congress back in 1998, bars websites from collecting personal data from kids without their parents’ permission. That’s why Facebook has to set up a mechanism for parental approval before it can let kids on the site. Of course, millions of underage kids have signed up anyway, by pretending to be older than they are. Facebook doesn’t have to go look for those underage accounts and delete them—the site just has to respond when they’re reported. But the larger claim is that it’s a bad idea for all these kids to be lying about their age. Why not allow younger kids on the site, and monitor them, Facebook argues. The company also notes that many of the young kids already using the site are doing so abetted by their parents, making it especially hard for Facebook to enforce the rules. A survey by the Microsoft researcher Danah Boyd found that two-thirds of the time, underage kids with Facebook accounts had their parents’ help in signing up. These are the “recent reports” Facebook mentioned—evidence that families are flouting the age restriction. To Facebook, all those lying kids—and their parental enablers—are proof that COPPA is failing. So let’s just scrap it. What to think about Facebook signing up little kids basically comes down to this: How much do you trust the company to do right by them? As it happens, advocates who line up on Facebook’s side often also take money from the company (and from other Silicon Valley giants). I’m glad to see that some members of Congress are responding more skeptically. Figuring out how to monitor kids online is hard enough as it is. We don’t need Facebook to make it harder.